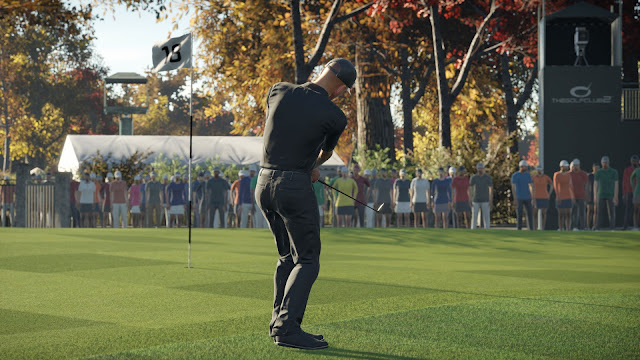 While there are some technical hiccups that occur here, The Golf Club 2 still offers the best round of play available on any platform currently. If you can look past those concerns, fans of the sport should find a great deal to enjoy about this latest offering in the series. Right off of the bat, The Golf Club 2 had kind of a rocky start. Servers were just not cooperating the fist couple of days or so, but kudos to the development team at Maximum Games for getting those wrinkles ironed out. Hopefully with a little more time, they can take care of the other lingering concerns I have from a technical standpoint, as both of them are related to the visuals. The first is the less egregious of the two, and that is the sort of odd texture pop-in that happens with the environment from time to time. It is as though when the camera gets close, the game tries to hot-swap in assets of a higher definition than the sometimes fuzzy ones you see further on the horizon. This is really not a big deal, and only sometimes occurs. 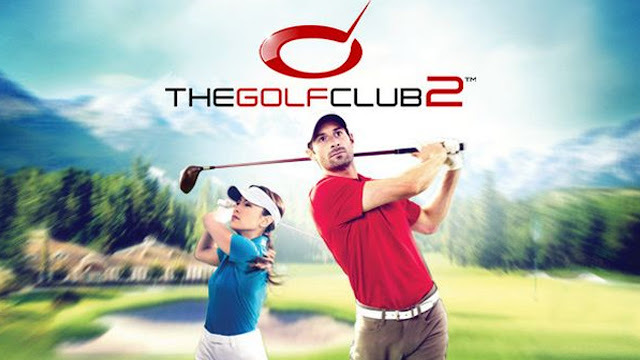 It does not detract from what a pretty overall game The Golf Club 2 is. 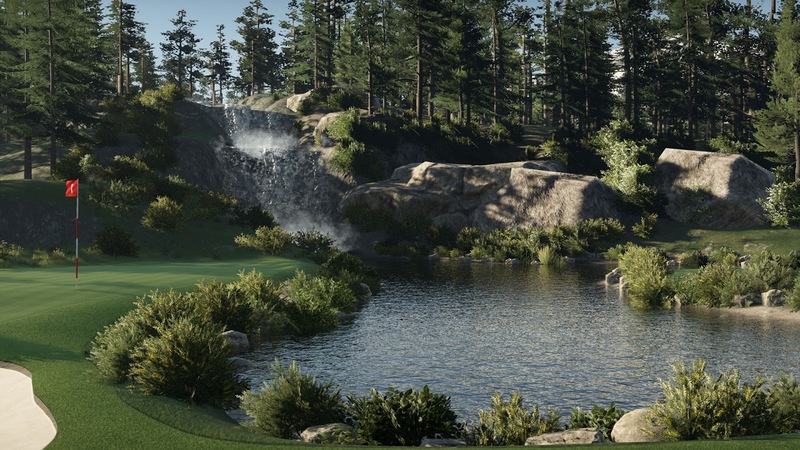 It might not have a powerful graphical engine behind it the way EA's or 2K's AAA sports titles do, but with vistas that range from rocky mountains to watery horizons and lush green trees, The Golf Club 2 is capable of painting a very pretty picture overall. It is not just the distant scenery that looks nice either. While character models aren't the most impressive I've ever seen, the animate reasonably well, especially during the most important part - their swing. The fairways and greens all look appropriately attractive as well. In particular the greens actually look the part - and what I mean by that is you can see the slopes and swells as you approach, and they represent out fantastically on the wireframe view during putting that helps you to decide how hard or at what angle to guide your putts. The physics are sometimes maddeningly realistic, and for every fantastic thirty foot putt I put in, I wind up with a bonehead eight footer I should have had but rushed through without properly studying the green. With a minimalist sound design that compliments the visuals, The Golf Club 2 is an immersive treat. The one complaint that I have that has not been patched as of my writing this review, is the framerate issues. 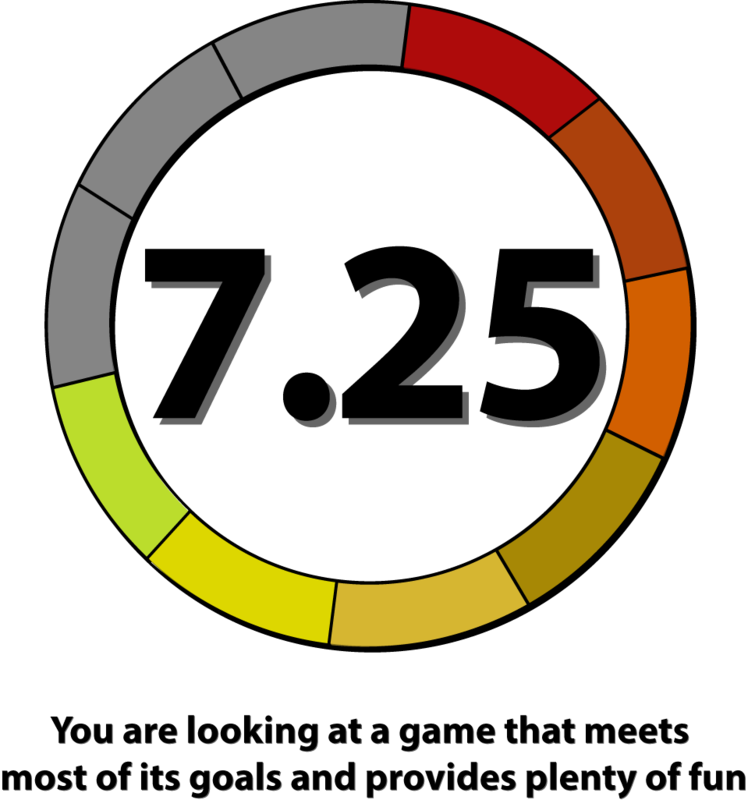 This is a slow loading game - those load screens can take quite a while, especially early on when things are firing up. I can get over that easily enough. The next most annoying issue is that on many of the holes, there is just a long lag time between when everything shows up on the screen, and when you can actually start to change your clubs or adjust your view. By 'long lag' time, I don't mean minutes - it is usually more a matter of five or ten seconds, but it just seems jarring when it occurs and it was a little frustrating. However, without a doubt, the worst item is when the game stutters during your swing. I have had it happen on all manner of shots from teeing off to chipping out of the sand to putting. It seems most common during teeing off and putting, but that could just be because I spend the majority of my time doing those things. Either way, for a game that relies on perfect timing of your swing, having the game hitch and stutter when you need that visual feedback is incredibly annoying. It only happens two or three times per round, but when it does, inevitably those shots get screwed up, which is frustrating. So much of what you are doing here relies on timing, which makes the above issue so tough to look past. This year's Golf Club has tweaked the prior swing method to take pacing into account. Before you aimed and fired with little to no HUD - something I actually like because it makes the game a bit more challenging and further allows you to appreciate the scenery and get immersed. However, in this sequel, the sped with which you perform your backswing and our downward swing are both measured in a small box in the lower right corner. Of course you are aiming for a 'perfect' in both of those, as your ball will certainly fly faster and further than if you have slow or fast denotations in there. It is a minor tweak, but helps to emphasize the importance of a smooth swing. It is one of the hallmarks of success in the sport, and adding that rhythmic, mechanical item to how you swing in the game only closer aligns The Golf Club 2 to the actual sport. A little bit of additional customization was added to the game. You earn money for playing, and that money can be spent on building up your society (a lightweight 'career' mode where you pick up events and play in a sort of mini-season against other golfer) or buying new equipment. While there are quite a few different options for tweaking your character, none of them are really all that important. You are never going to unlock all of them, but if cosmetics is your thing, you can pick from a pretty hefty variety of clothing items and customize their colors to match your tastes. About the only thing that actually can impact your golfer is which of the club sets you use. The default player one doesn't have as great a distance to the clubs as the tour set does, but it is far more forgiving of your swing motion. The highlight of The Golf Club games however, is the course editor. Whether you wish to design your own course or not, there is a pretty robust community at play here that has designed a variety of different courses. Many players have spent hours meticulously recreating real life courses, both local and those known around the world, while others simply tap their imaginations to come up with something unique and interesting. With options to rate and favorite courses, it is easy to put together a list of them you like best, while that feedback helps to slowly notify other potential players about the quality of the constructed course. The editing tools are quite robust, but there is certainly a learning curve here. Just being able to design a course is important, but knowing what elements make a course interesting and fun to play is another matter completely. Last but not least, there are some nice additional modes and features to be had here. There are some training options that will help you establish your game, online and offline modes and tournaments as well. 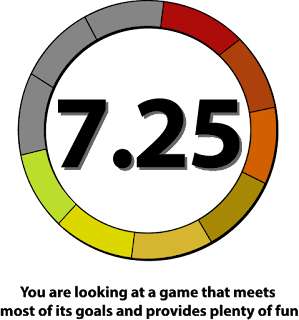 I don't proclaim to be all that good - in fact I'm maybe only average at best, but it is fun to play and you can get through a solo round of golf pretty quickly. If there is one aspect that seems a bit lacking at this point, is is the career mode. Maybe because I think of games like MLB The Show or NBA 2K when I think of a sports career mode, but those have some storyline and progression elements to them that this one is lacking. But, it is a new mode and it will no doubt become further fleshed out in future releases, but for now it is a nice but somewhat bare bones offering. 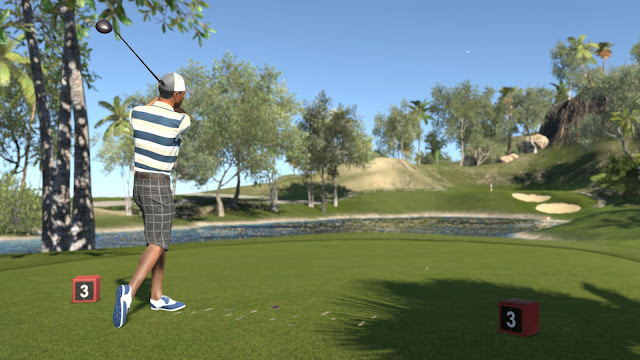 Golf enthusiasts should enjoy The Golf Club 2 quite a bit. The physics are realistic, the course variety is potentially limitless and it looks and sounds the part. If only the development team could smooth out a few of those technical issues noted above and add some additional features to make the career mode a bit more interesting, I think they will be well on their way to having one of the best sports titles on the market.